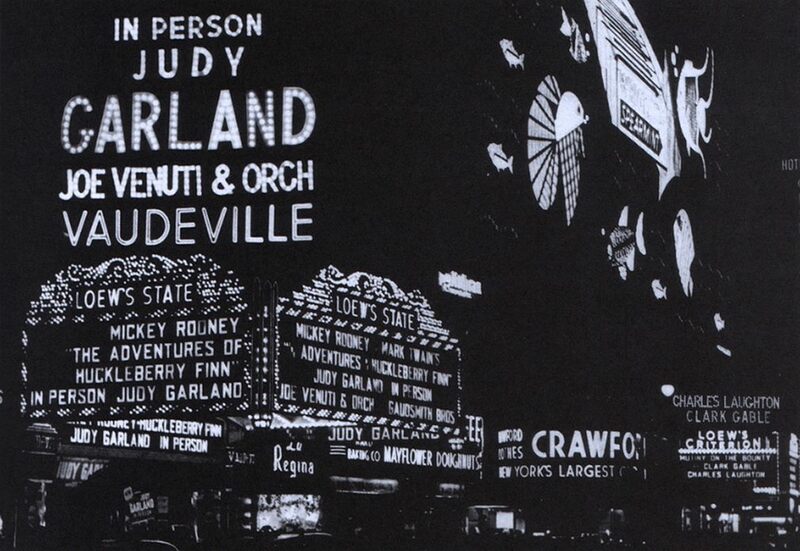 April 9, 1939: Judy was in New York for a personal appearance (see the photo of the marquee at Loew’s State) when she participated in the famous Easter Parade. Shown here behind Judy is Broadway star, Mary Martin. The woman seated directly behind Judy is unknown. 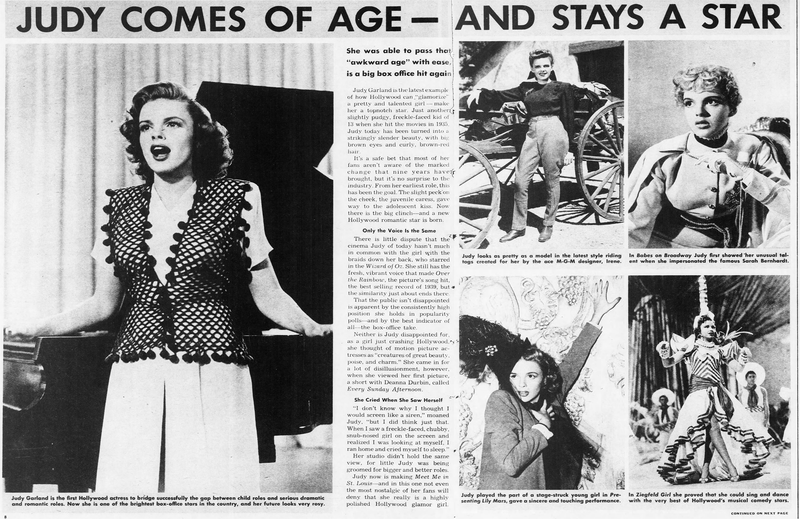 Judy’s appearance lasted a couple of weeks before she returned to Los Angeles and MGM on April 30th to film some Wizard of Oz retakes and began filming Babes in Arms with Mickey Rooney. April 9, 1939: “Forty Thousand Poppies Cover Set” – another studio-fed blurb to interest people in the upcoming release of The Wizard of Oz. The film was officially in post-production although, as noted above, Judy filmed some retakes on April 30th. Click on the poppy field image above to see the full panorama of this gorgeous set. 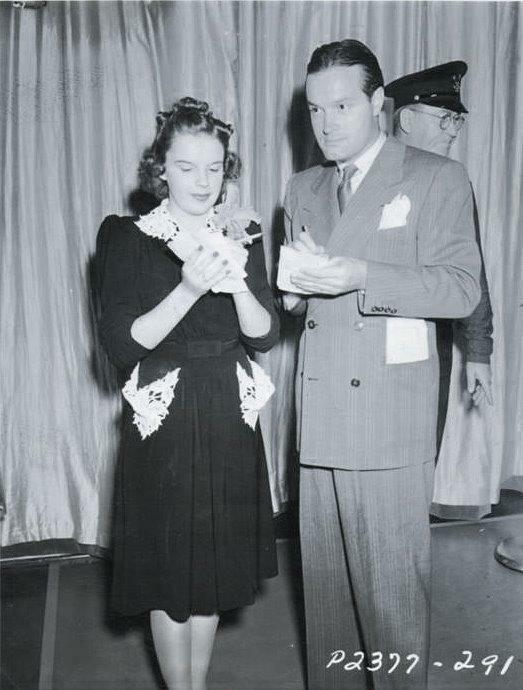 April 9, 1942: This photo was taken of Judy on the “Interior Nick’s Cafe” set while filming the title number for For Me And My Gal with Gene Kelly. 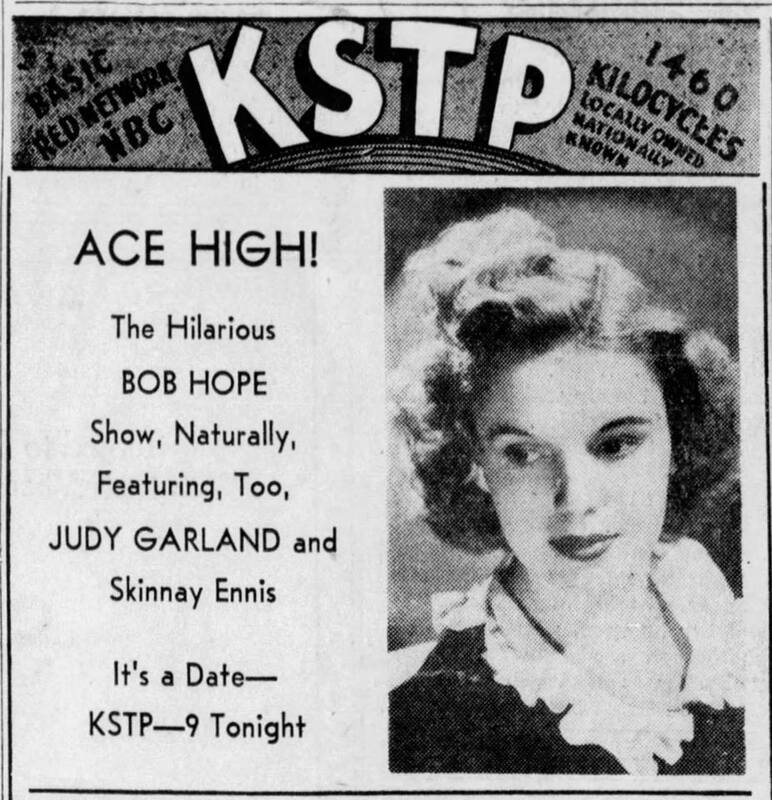 Time called: 10 a.m.; dismissed: 6:05 p.m. Judy also posed for some publicity photos for the film. 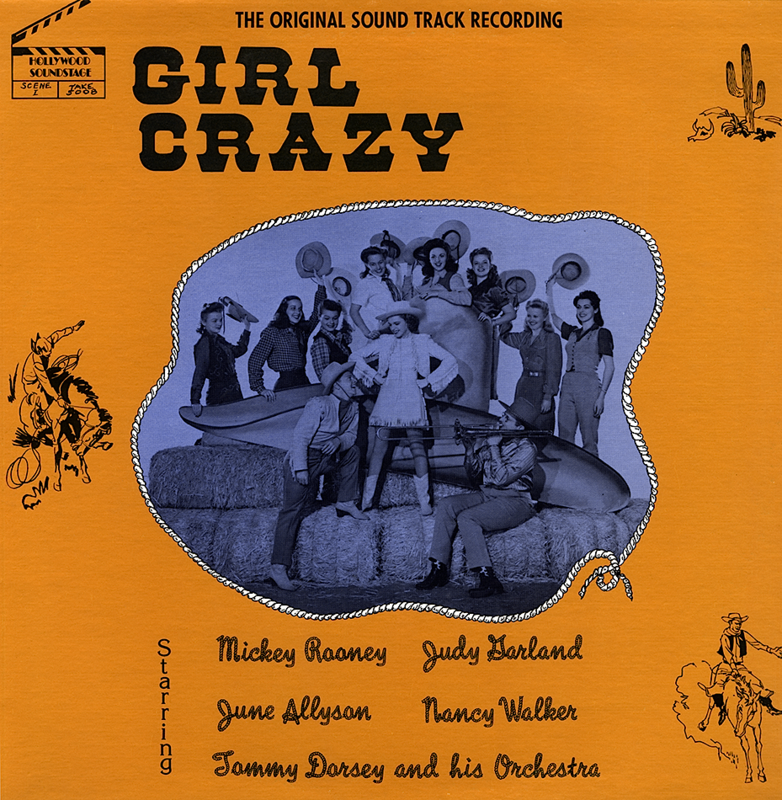 April 9, 1943: Judy had another music rehearsal of “Embraceable You” for Girl Crazy. Time called: 10:00 a.m.; Judy arrived at 10:45 a.m.; dismissed: 5:00 p.m. Images above: The 1982 bootleg soundtrack LP released by the “Hollywood Soundstage” label. 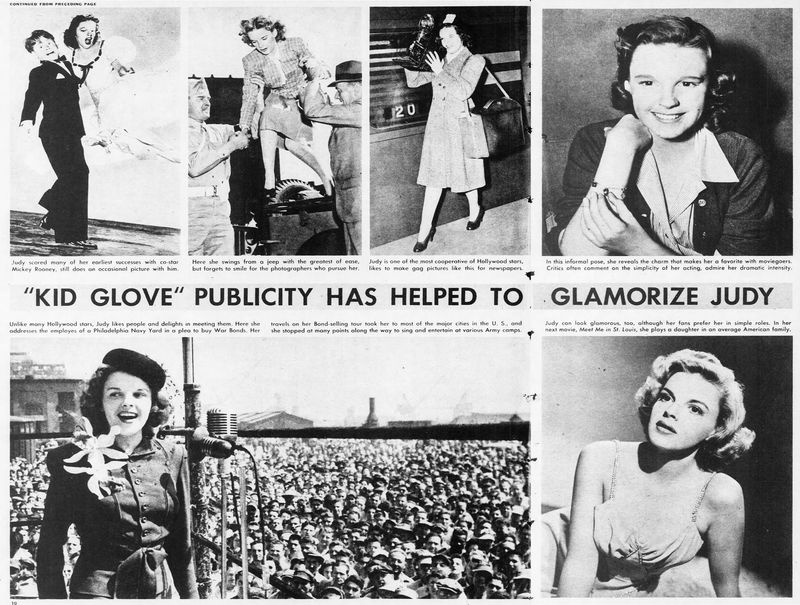 April 9, 1944: “Judy Comes Of Age” – If Judy had seen this article she would have liked it. It touted her arrival as a “Glamor Girl” and a serious, adult actress. April 9, 1947: Filming on The Pirate continued with scenes shot on the “Exterior Plaza” set. 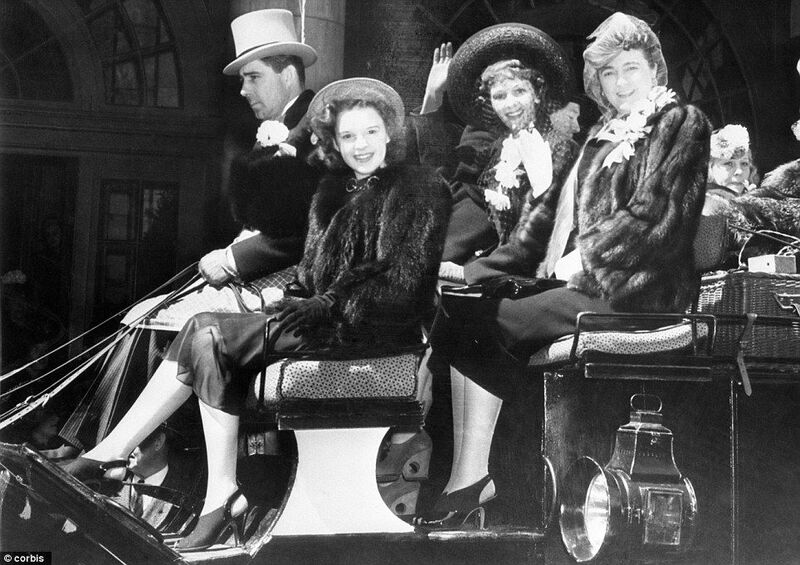 time called: 10:15 a.m.; dismissed: 3:30 p.m.
April 9, 1949: Filming on Annie Get Your Gun continued on the “Interior Pullman Car” set. The assistant director’s notes stage: “At 8 a.m. Miss Garland called asst. director to say that she had a sore throat. Miss Garland called back at 8:15 a.m. and was given an 11 a.m. call ready on set (instead of 10 a.m. as previously called).” As you can see from the following running record, the production was incredibly detailed about every single thing that happened. 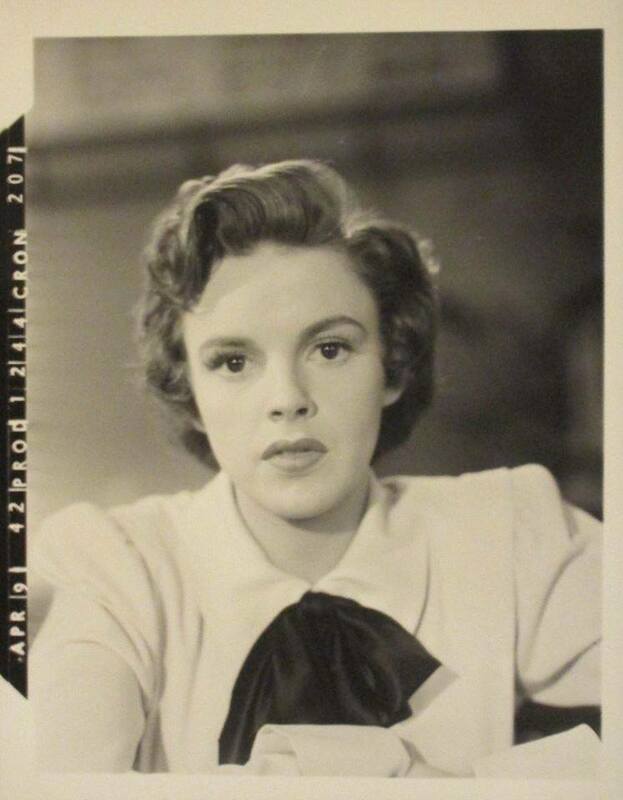 No photos are known to exist from this day’s shooting, nor does any footage exist, although the costume test photo of Judy in costume for this scene does and is shown above. 2:55-3:10 – Reh set B.G. action, set boom, action add lighting. Note: at 2:50 p.m., Miss Garland told Asst. Director that she was too ill to work and was going home. 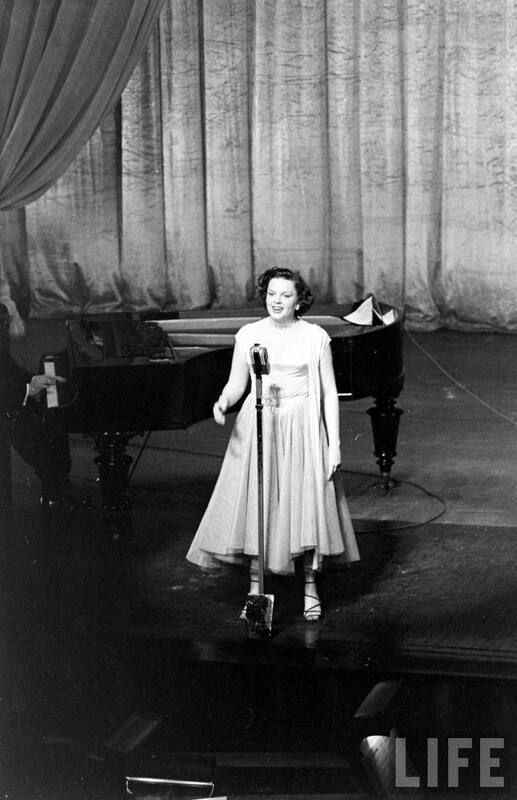 She left set at 3 p.m.
April 9, 1951: Judy’s legendary “Concert Years” began with her opening night at The London Palladium, London, England. 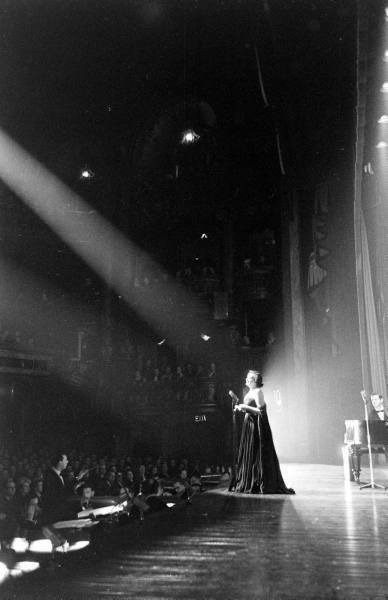 Judy’s act at this point was more “Vaudeville” than the two-hour one-woman shows she began, and perfected, in the early 1960s. 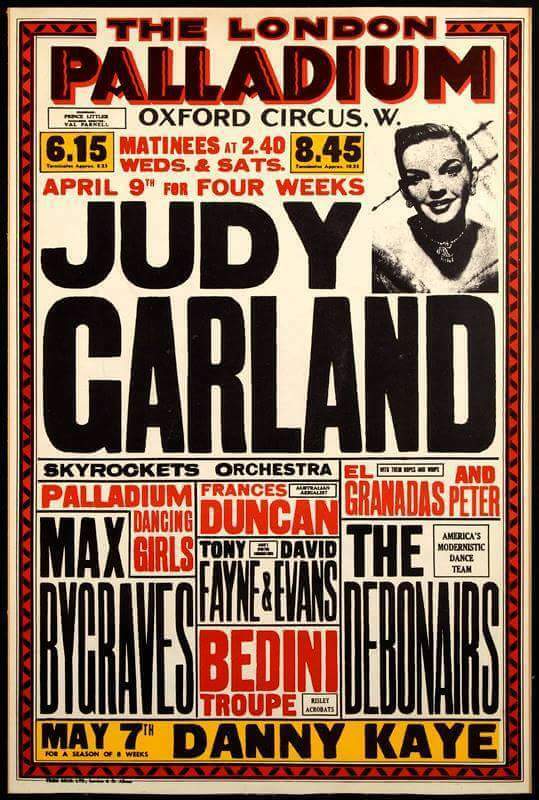 This Palladium act consisted of a 35-minute set put together by Roger Edens and Oscar Levant that Judy performed twice a night at 6:15 p.m. and 8:30 p.m., six nights a week. 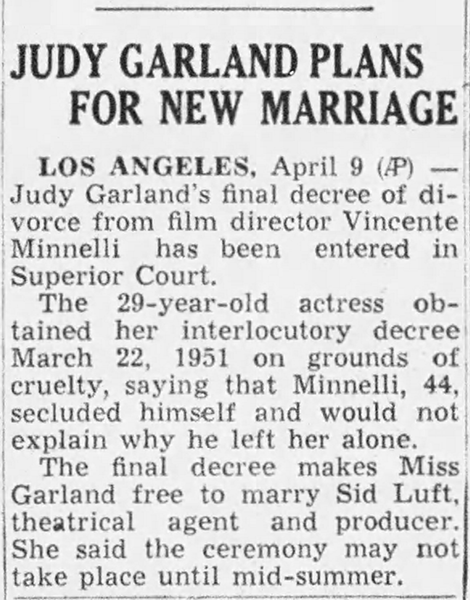 Judy was paid $20,000 a week – $80,000 total (the run lasted through May 5th) – which was quite a bit more than the $6,000 per week she had been receiving at MGM. 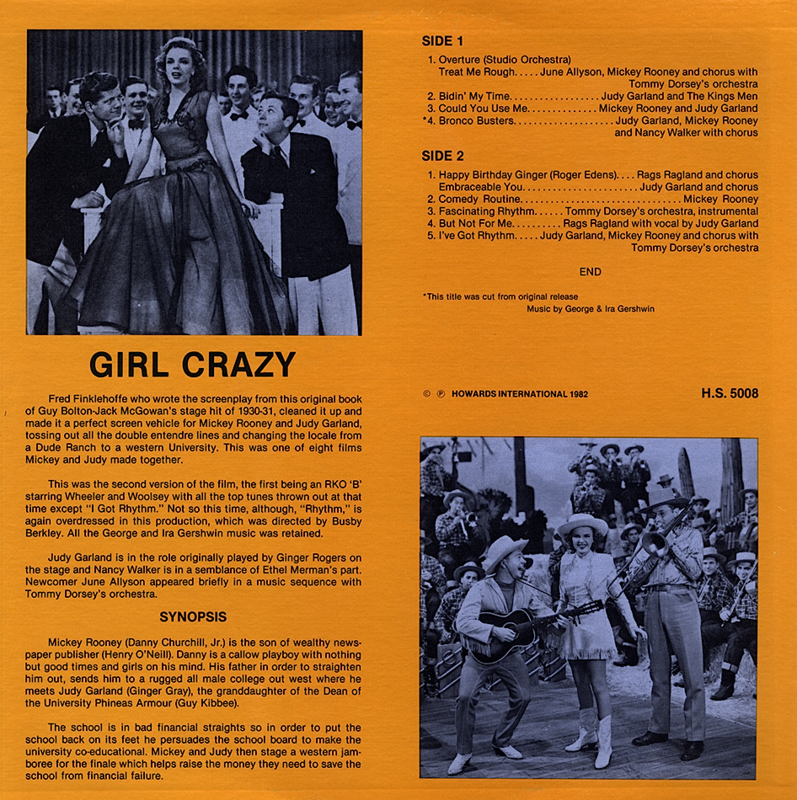 The reviews were ecstatic, which didn’t go unnoticed back in Hollywood where Judy was either offered, or wanted for, several film projects including: “Just For You” (with Bing Crosby), Meet Me In New York (a sequel to Meet Me In St. Louis), a biography of the producer/songwriter Buddy De Sylva (another project with Bing Crosby), Kiss Me Kate (which was made by MGM in 1953), and The USO Story for RKO Studios. Of those projects, only Just For You and Kiss Me Kate made it to the screen. The first co-starring Bing Crosby and Jane Wyman in 1952 and the latter starring Howard Keel and Kathryn Grayson in 1953. 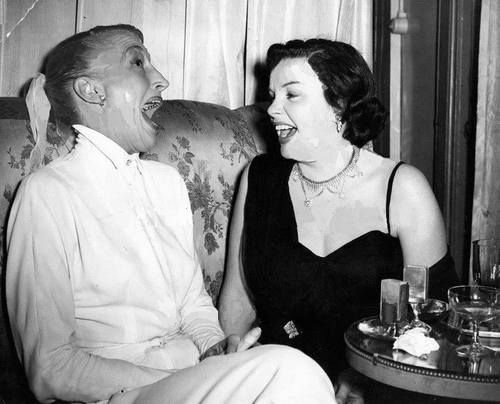 For more about the unfinished films of Judy Garland and those that she was allegedly in the running for, check out The Judy Room’s “Films That Got Away” Pages here. 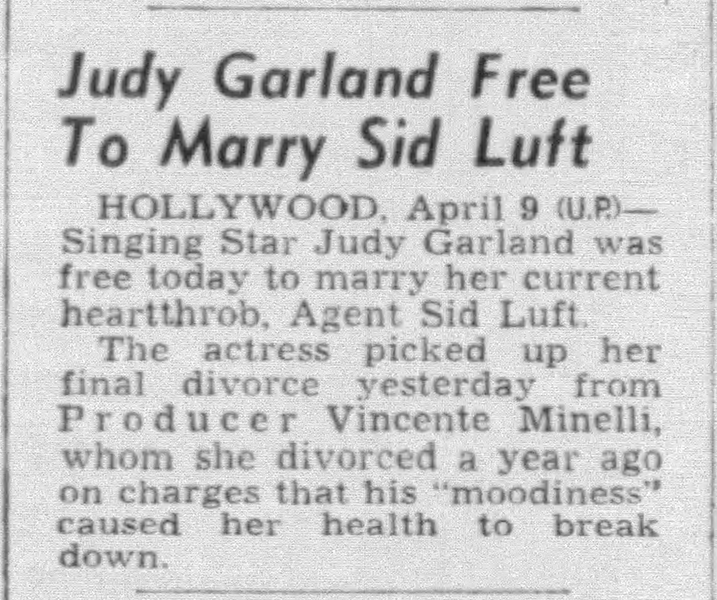 April 9, 1961: Judy was set to play Greensboro, North Carolina, on April 17th. The article notes that this is her last stop before what would become her legendary concert at Carnegie Hall in New York. April 9, 1961: TV viewers in Pittsburgh, Pennsylvania, were treated to two Judy Garland movies that week, For Me And My Gal and The Clock. 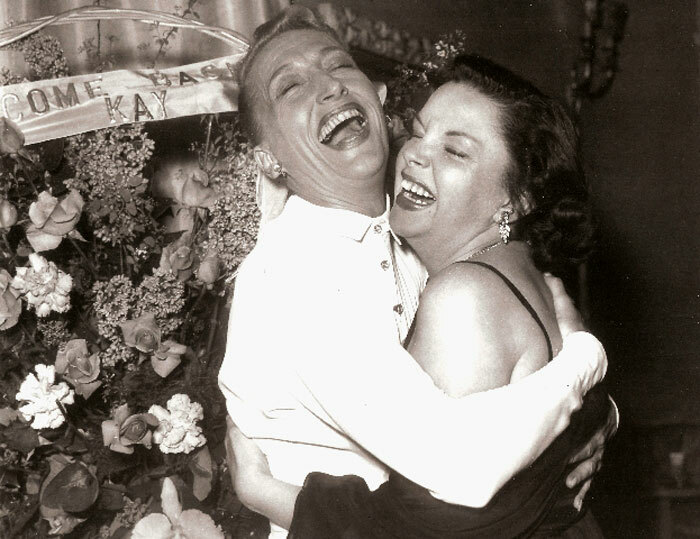 Also on this day, Judy and Sid Luft attended a dinner party hosted by Robert and Ethel Kennedy at the White House.